The 1975 have just released their third album, A Brief Inquiry Into Online Relationships, and they’re sharing one video pearl after another. Today, the band has presented a music video for the song ‘It’s Not Living (If It’s Not With You)’, featured on the new album Be sure to watch this curious and really puzzling video below. 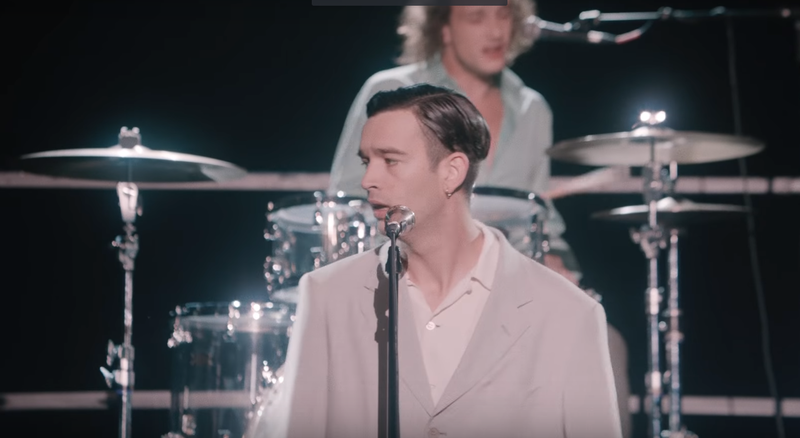 In the video, frontman Matt Healy finds himself disoriented, as if he’s living in a parallel universe. He wants to take the stage, but sees his own copy standing at the mic (looking retro, sharp-dressed and way more cheerful). He’s leaving home and bumps into a “parallel” Matt Healy dancing in the street, dressed totally like him. Is he living his own life? Who is real and who is an illusion? That’s when it gets linked with the all-round happy clip ‘Sincerity Is Scary’, and we start seeing through those colorful “LA-LA-Land” visuals. The 1975 and director Warren Fu had apparently done an enormous job. Just think of such careful planning of the interconnected music videos and scheduling their release dates in the order that always leaves viewers food for thought. The 1975 had previously shared a few other tracks from the album: ‘TOOTIMETOOTIMETOOTIME,’ ‘Love It If We Made It’ and ‘Give Yourself A Try.’ The band’s previous record was 2016’s album I like it when you sleep, for you are so beautiful yet so unaware of it. Watch the curious music video for ‘It’s Not Living (If It’s Not With You)’ below. And of course, check out the British band live! The 1975 have just announced they’ll be hitting the road to promote their latest release. You can find all the tour dates and locations here.